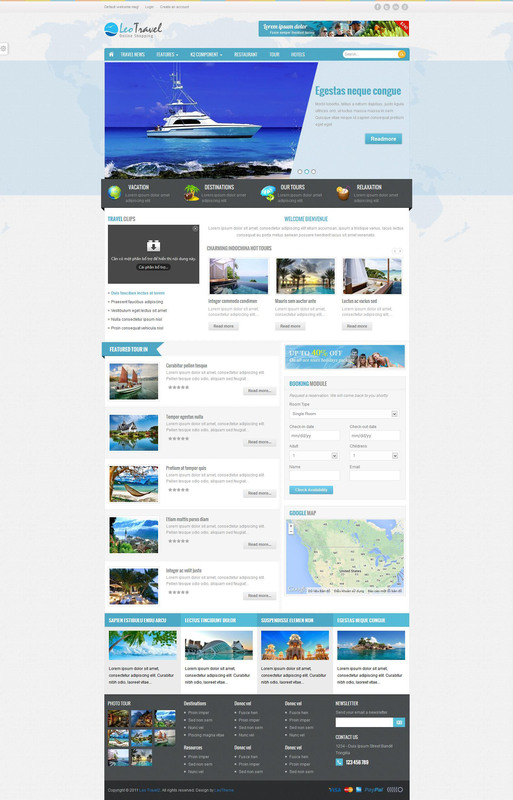 Leo Travel 2 - great template for Joomla version 2.5x for tourist theme. Developed its popular design studio LeoTheme. This template has a great supporting adaptive design features that allow pattern displayed correctly on any screens of mobile devices. Template includes a three color design, and built for the settings manager that gives the opportunity to choose the type of font, background color and so on. Support for different browsers, very fast speed and particular flexibility is achieved by using studio Leo Framework platform. Functional and flexible site materials management is achieved by the presence of component K2.